Elle Logan of Boothbay Harbor, a three-time gold medal winner for the United States Olympic rowing team, has been named a finalist for the prestigious Thomas Keller Medal. Three-time Olympic gold medalist Eleanor Logan of Boothbay Harbor is one of six finalists for what is described as the most prestigious medal awarded in rowing: the Thomas Keller Medal. The announcement was made this week in Lausanne, Switzerland, by the World Rowing Association, or FISA. Logan, 29, became the United States’ greatest Olympic women’s rower after winning her third consecutive Olympic gold in the women’s eight at the 2016 Summer Games in Rio de Janeiro, Brazil. Logan also has competed in other boats, including the women’s single, pair and fours at the world-championship level. 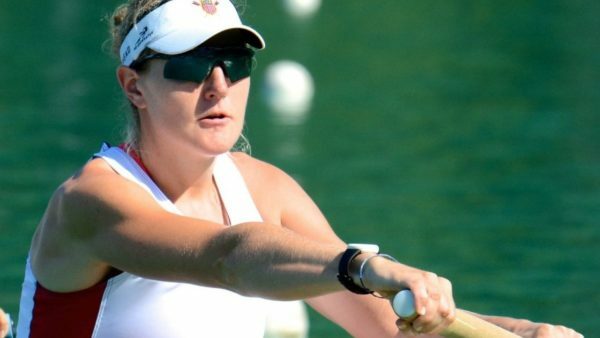 The Stanford University graduate, who has been rowing competitively since 2003, won her first Olympic gold at the 2008 Beijing Games, where fellow Mainer Anna Goodale of Camden also was part of the U.S. crew. Logan then helped Team USA capture gold again at the London Games in 2012. With the victory in Rio, the U.S. became just the second nation to win gold in the women’s eight at three consecutive Olympics, following Romania in 1996, 2000 and 2004. Logan was the only U.S. crew member still competing at the Olympic level in Rio from the 2008 team and one of just two rowers back from the 2012 gold medal-winning boat, along with Meghan Musnicki of Naples, New York. Logan indicated after the 2016 race that she would not seek a spot on the 2020 U.S. Olympic team. While no U.S. rower has won the Keller Medal since its inception in 1990, Logan is one of two American finalists this year. She is joined as a finalist by Caryn Davies, a four-time world champion between 2002 and 2012 and a two-time Olympic champion. During her competitive career she earned a Bachelor of Arts degree in psychology from Harvard University, a doctorate in law from Columbia University in and an MBA from Oxford University in Great Britain. Four rowers from Great Britain also were named finalists: Katherine Grainger, Greg Searle, Andrew T. Hodge and Tom Aggar, the first para-rower to reach the finals. The Thomas Keller Medal honors rowers who have shown exemplary sportsmanship and technical mastery of the sport as well as having shown a legendary aspect in and outside their rowing careers. The winner will be announced on June 29 and recognized on July 8 at the 2017 World Rowing Cup III in Lucerne, Switzerland. An 18-carat gold medal will be presented to the winner by Dominik Keller, son of former FISA president Thomas Keller.